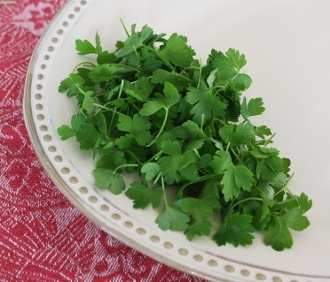 Tiny and beautiful flat leafed parsley.Fresh flavor and fragrance. Wonderful for floating on soups and stews. Classic but upscale topping for Italian dishes.